This week the contractor is working on Dean Avenue, Richard Street, Auburn Avenue and on a small portion of Phillips Avenue leading to Kathy Kourt. 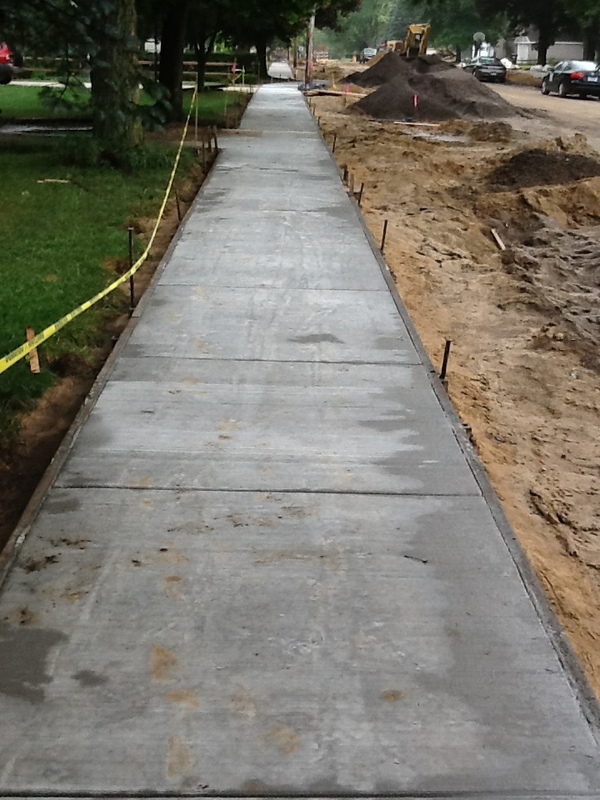 Now that concrete has been poured, final restoration of the infiltration swales is being performed on Dean Avenue. 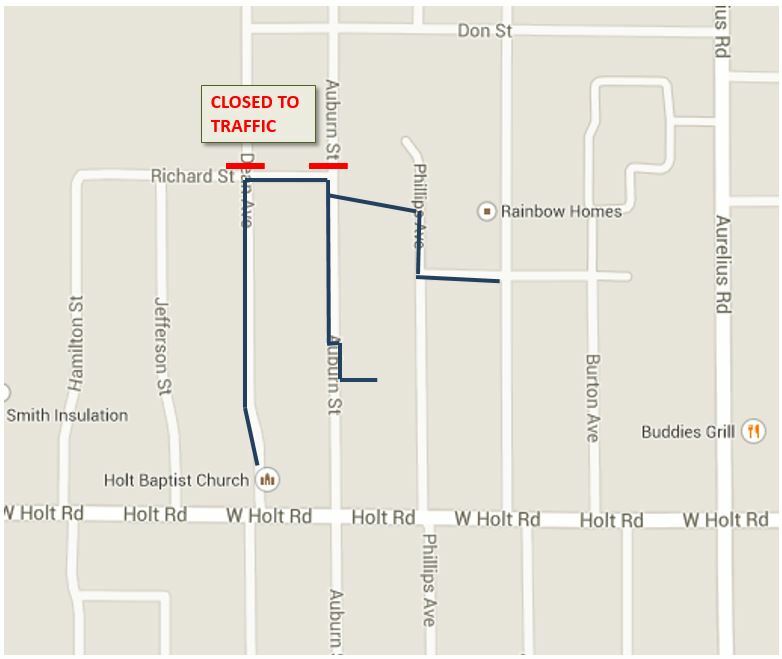 Richard Street is slated to receive gravel from Dean Avenue to Auburn Avenue One pipe crew is installing storm sewer on Auburn Avenue while the second pipe crew is on Phillips and will be soon turning east along Kathy Kourt. Both Dean and Auburn Avenues will remain closed north of Richard Street as the contractor wraps up the work in this area. We appreciate the public’s patience as you avoid this construction zone. Additionally the contractor will not be working on Saturday this week or on Monday (September 1) due to the Labor Day weekend.